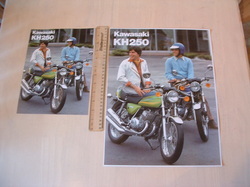 From 1972-75 the Z1 was not the only Kawasaki superbike in production. 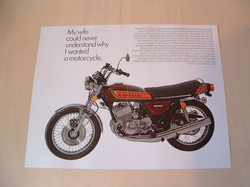 The iconic, fiery, straight line racer known as the H2 or "Widow Maker" - was built and marketed over the same period. This 1975 brochure features the final H2C machine which was also known as the "Purple People Eater" due to it's new colour scheme. 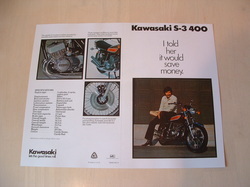 The S3 400cc triple machine from 1975 would become the basis for the highly popular KH400 series during the next season. These bikes sold very well in the UK market and remained in production until emissions laws ended two stroke production. 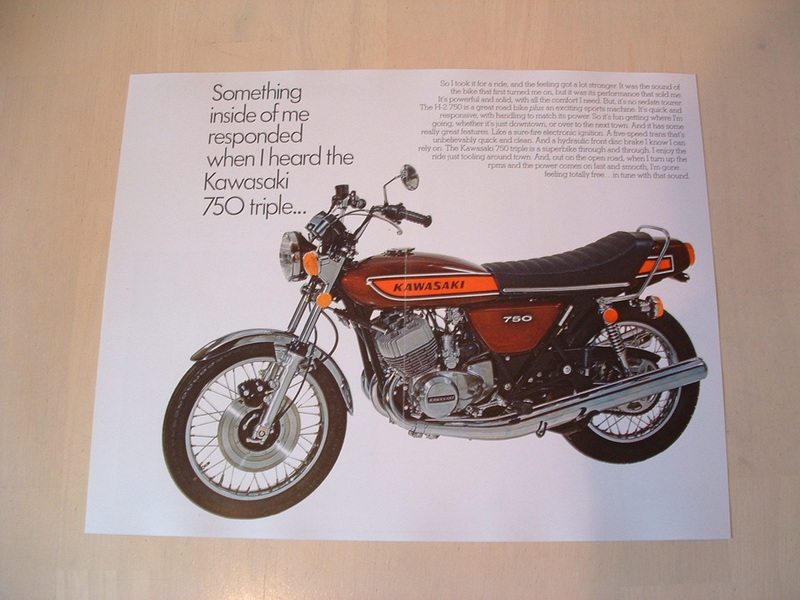 This 1975 brochure for the final S3 shows the later front disc fitted. During the 1970's adult learner riders in the UK were limited to a maximum 250cc capacity machine before passing their test. Unless a side car was fitted!! This little Kawasaki machine crept in at just under the limit and became the basis for the hugely successful KH 250 range, an example of which can be seen below. 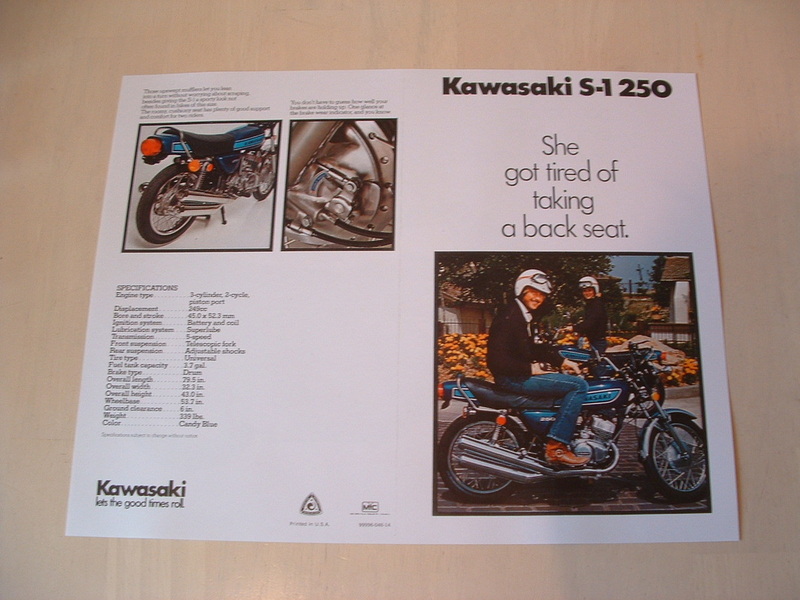 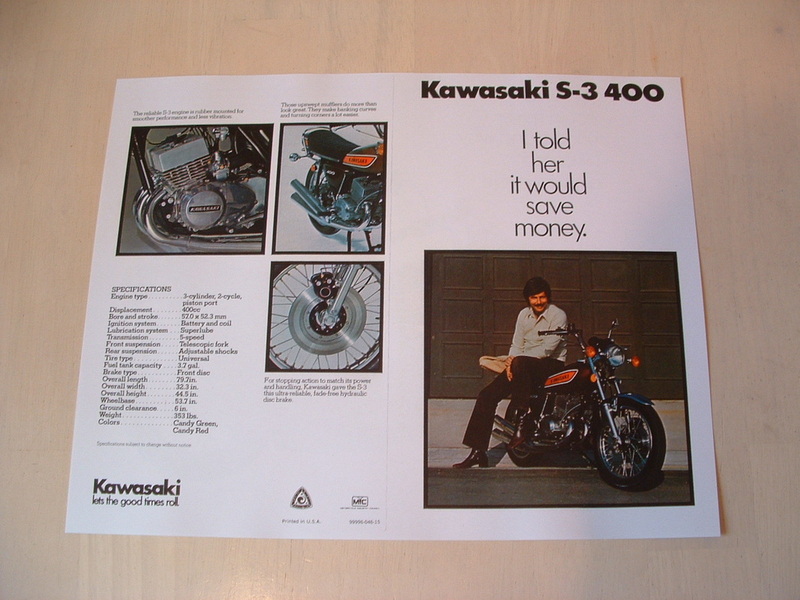 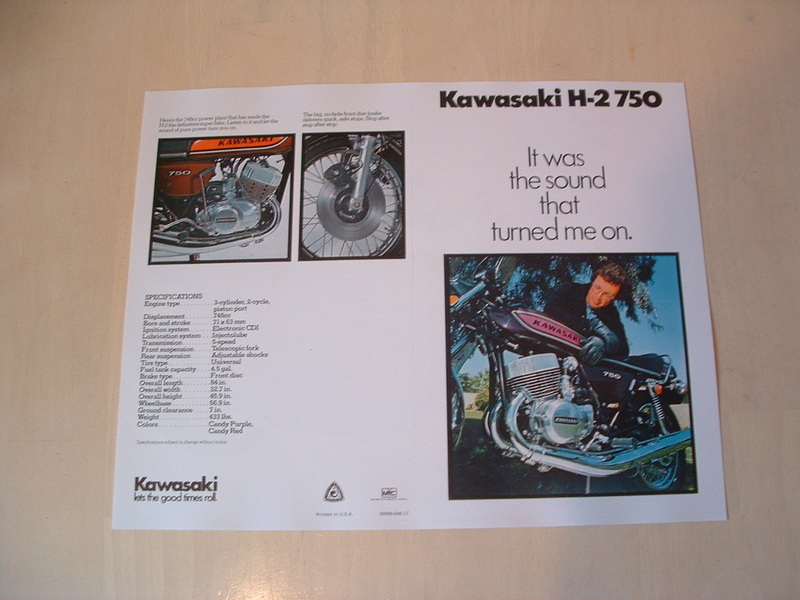 This 1975 brochure features the final S branded two stroke made by Kawasaki. 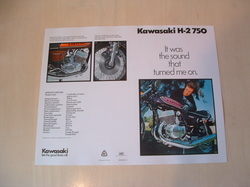 By 1978,KH 250 power had reduced from 32hp in 1975 to 27hp. The bike retained popularity due to it's good looks and nimble handling. 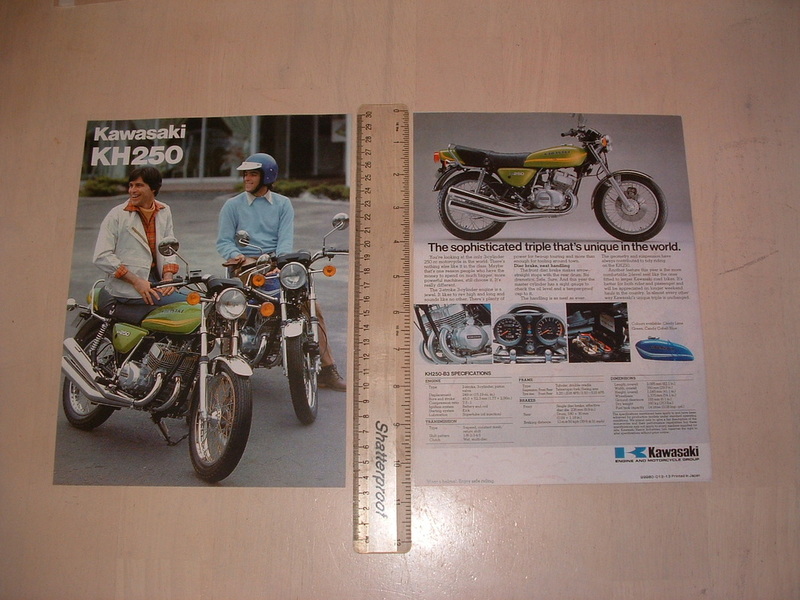 This double sided UK brochure for the B3 version is a great rebuild reference picture or an ideal addition to your bike history files. A high quality reproduction of the 1978 KH 250 sales brochure cover page.